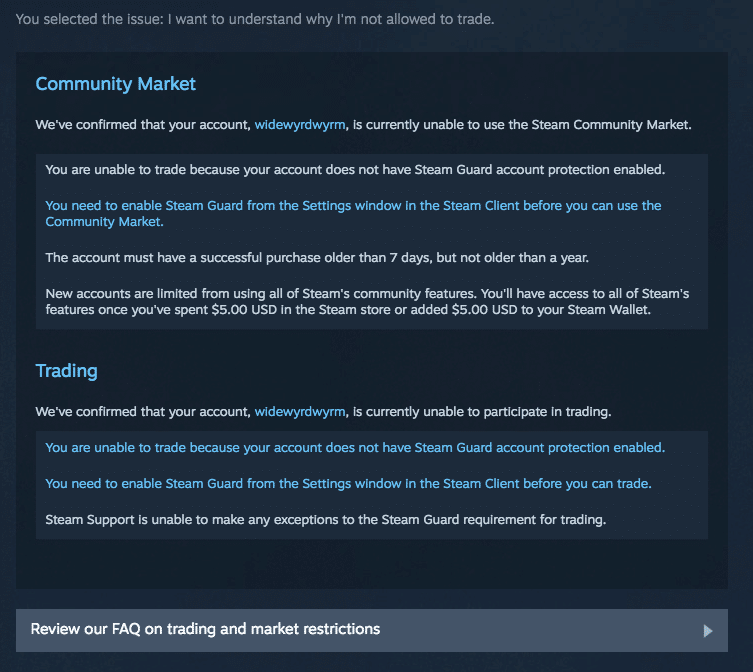 So you want to get cash from your skins on SkinWallet but, for some reason, your Steam account cannot trade? 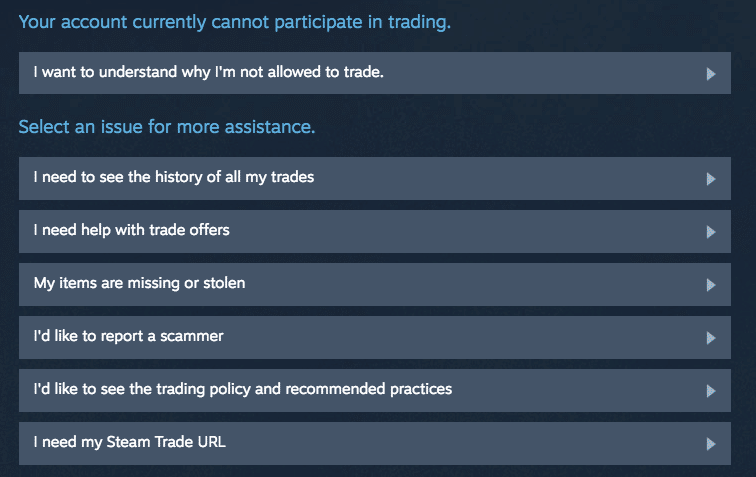 Sometimes, due to a large number of restrictions and security systems built around Steam Trading and Market listing, you may not even know you’re unable to trade until you try. 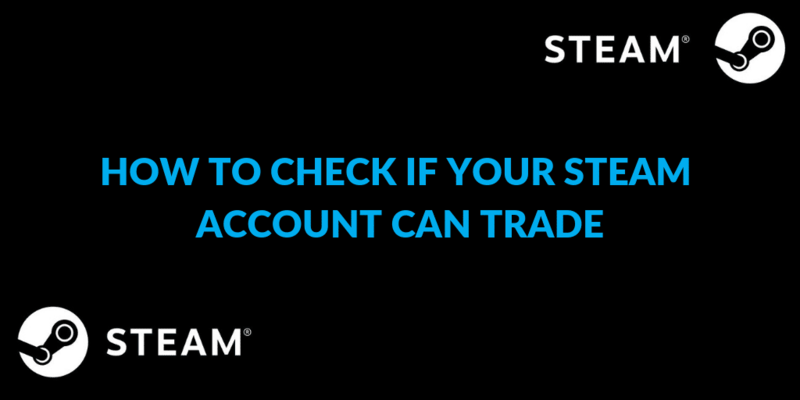 Luckily, there is a quick way to see if your Steam account is available for trading. 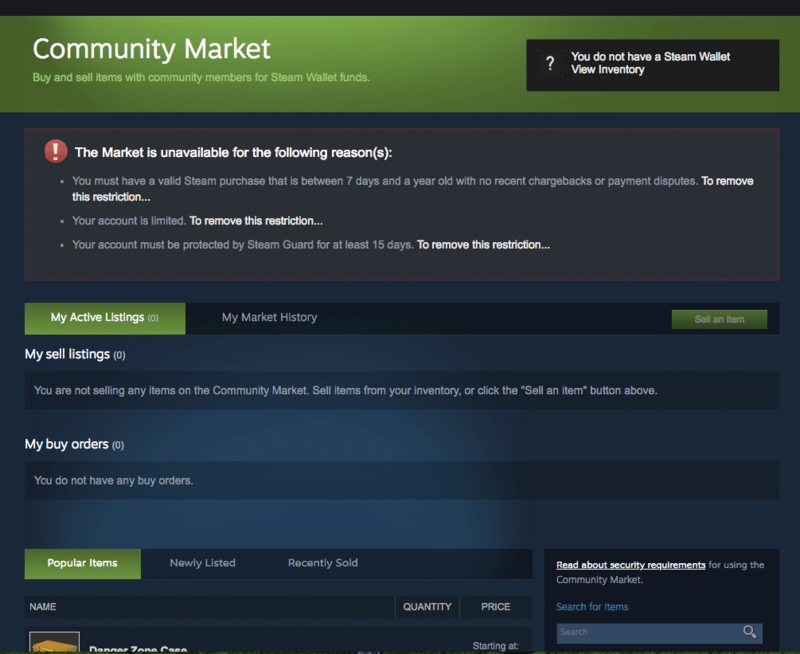 The easiest way to check if your Steam account can trade is to log in and go over to Community Market either in the application or through a web browser. 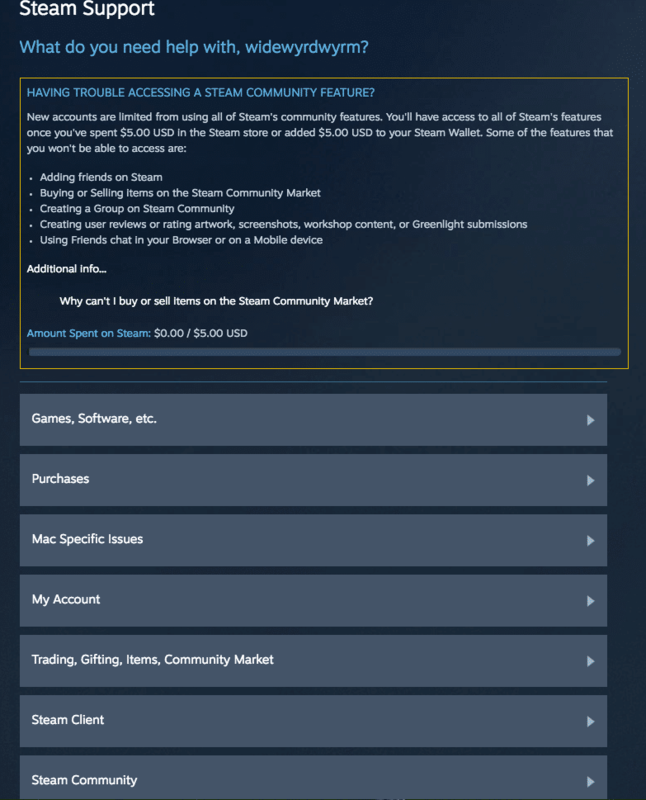 On the other hand, if your account has any applicable trading restrictions, all of them will be displayed by Steam in the bracket on top of the page. 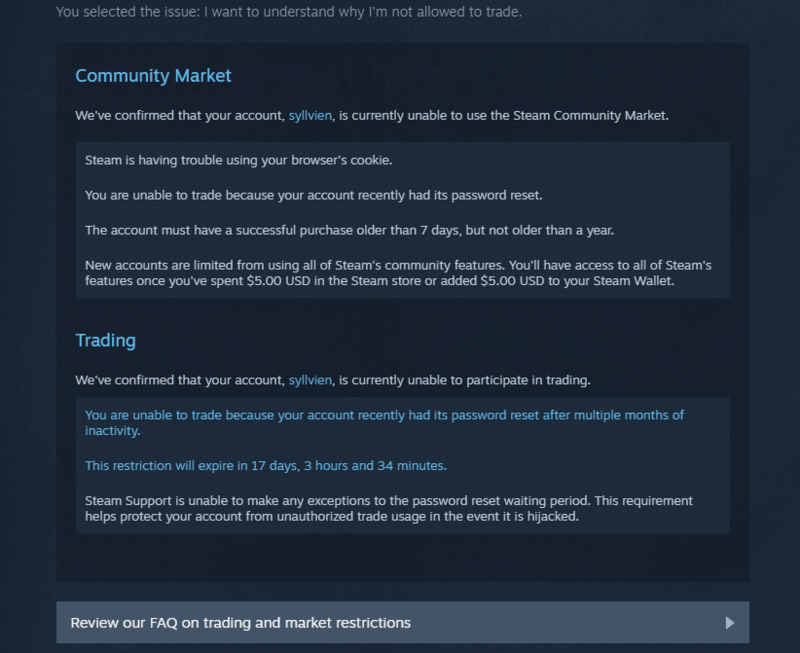 This is a screen from a newly created Steam account, therefore it has a couple of restrictions on trading that are quite natural for fresh accounts. You can see what you need to do in order to lift the trading restriction by hovering your cursor on the “To remove this restriction…” line next to each of the restrictions. If you have some time restrictions that you just have to wait out but want to know how many days are left you can do it through support page. Just go to Support page while logged in to your Steam account. As you can see, Steam already shows what the main problem with my account is. 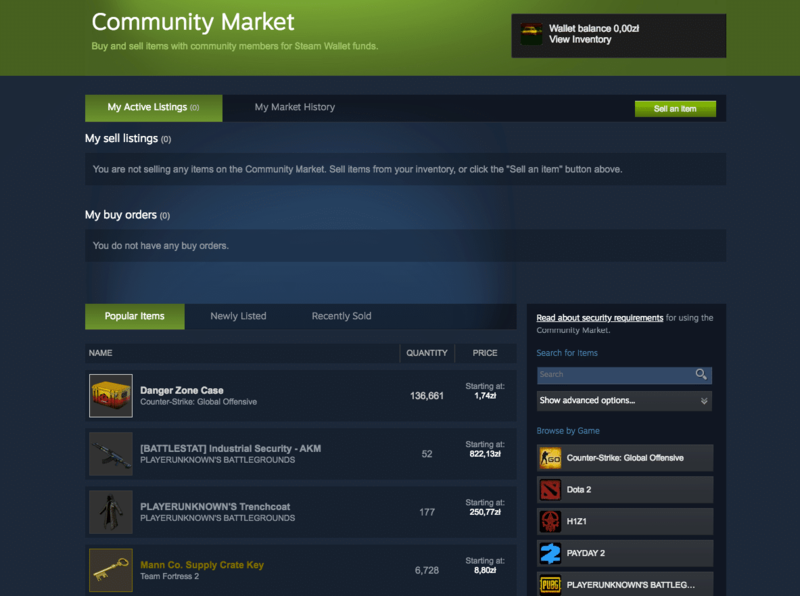 However, you can dive deeper into Trading, Gifting, Items, Community Market section for more details. Then, you will be asked to precise what your issue is about. We’ll go with Trading. Now you will be greeted with a number of specific questions concerning trading you may have. As you can see, Steam already shows what may interest me most on the top. 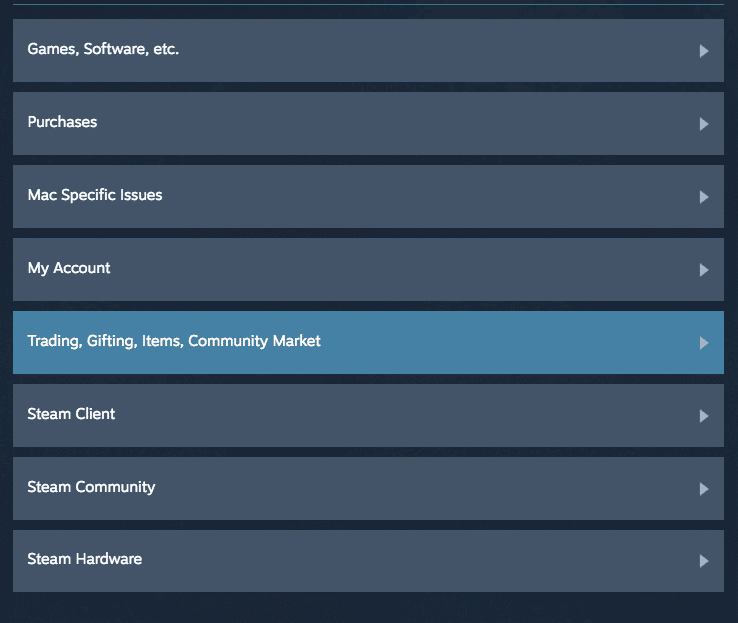 If you want to see the list of all Trade and Community Market time restrictions, please consult the Steam official support guide. We also have a convenient list available here.